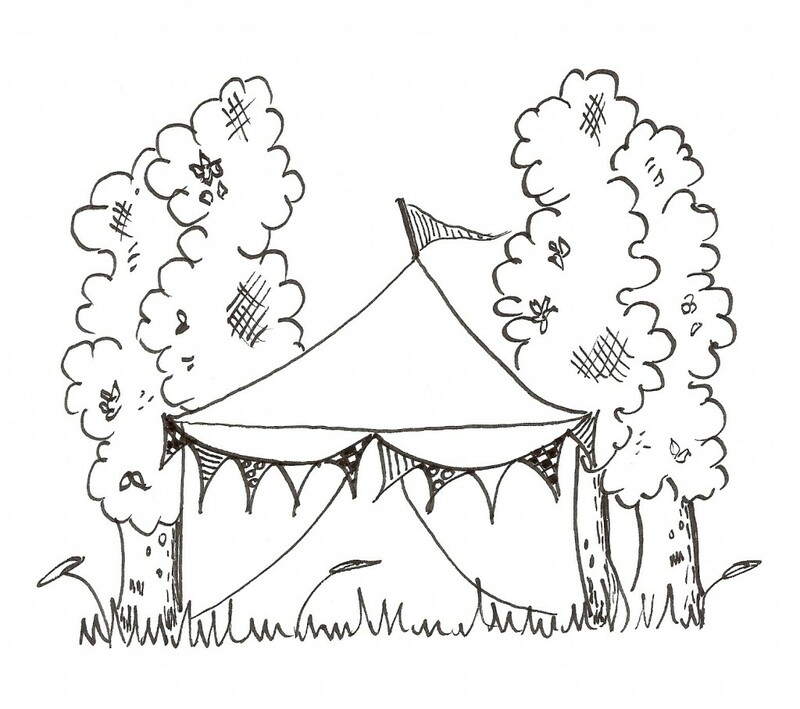 Wedding marquee options – no two weddings ever need to be the same! At some wedding venues, it is hard not to feel a bit ‘been done before’ about the whole thing. You may also find that the venue owners have created a set system for their weddings that although might be convenient for them, leaves you feeling like you’ll be churned out along the wedding conveyor belt and come out the other end just like every other wedding that’s ever taken place there before. Fortunately we can offer an alternative. With Blue Sky Marquees on board, it is possible to entertain your guests at home, or indeed at any wonderfully scenic site, and thereby choose all the individual components that you wish for a truly original celebration. Our elegant marquees can be adapted to any theme, we have had Carribean beach to classic vintage weddings. We have a range of sizes to suit functions of 50 to 500 guests. The sides of our marquees can be opened during the day to make the most of a beautiful summer’s day and can be closed in the evening to contain a party with cool lighting, funky bar, stage, band and a range of dancefloors as big as you like. Our marquees provide a truly romantic setting that can be set up to compliment your colour scheme by choosing from our range of different flooring, linings, swags and coloured lighting. It would be our pleasure to meet with you, listen carefully to your ideas and discuss the very best way to create your perfect venue. The checklist and FAQ below might be a good place to begin. Decide on a suitable site or let us help find your ideal location. Consider power, water and toilet facilities – we can help. What furniture will you need? Tables, chairs, sofas? What type of flooring would you like? Will you need a dancefloor and a stage for the band? Would you like soft seating/chillout area? Table plans & internal setup preferences – round tables or banquet style? Unless otherwise agreed the hire period is normally for 48 hours although we may well erect structures in advance of this time frame. We normally ask for a deposit of 25% at the time of booking, a further 25% 3 months prior to your event, and receipt of the remaining balance 4 weeks prior to the event. Depending on the location and certain other possible requirements, there may be a small delivery charge. How do I know if we have enough space? We are always happy to meet you for a site visit to consider the best solution for your event.